Do you know the ultimate way to say I love you? 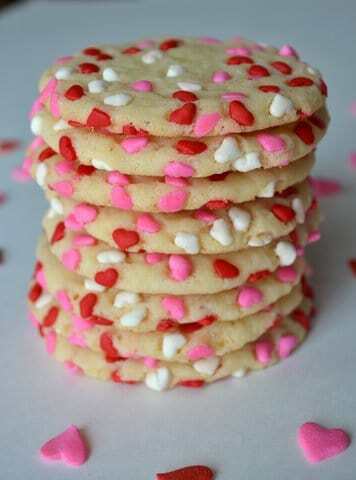 It is by making a batch of one of these homemade Valentine’s Day cookie recipes. 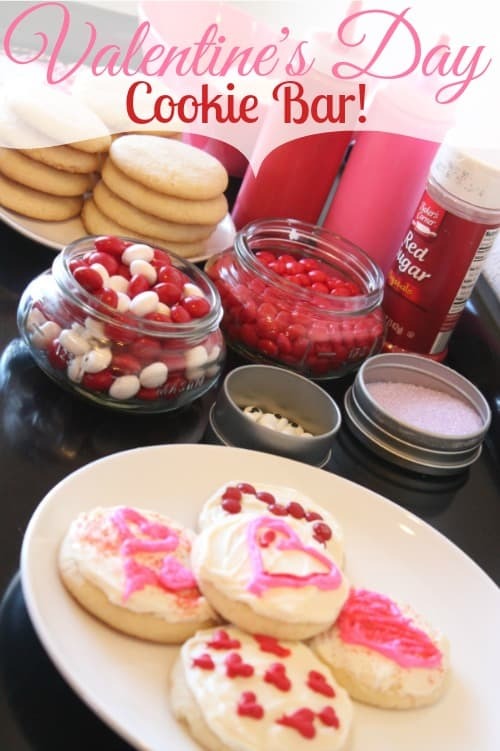 I love me a really great cookie dip for this holiday but one thing I love even more and want to talk about today is Valentine’s day cookies. 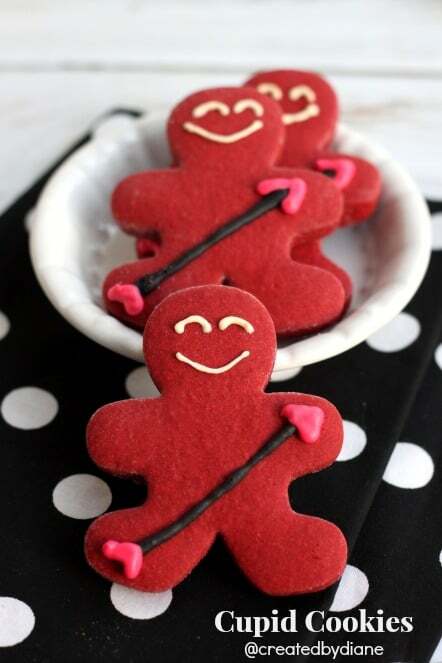 The perfect time to add a touch of red, pink and even hearts for your favorite cookie monster. 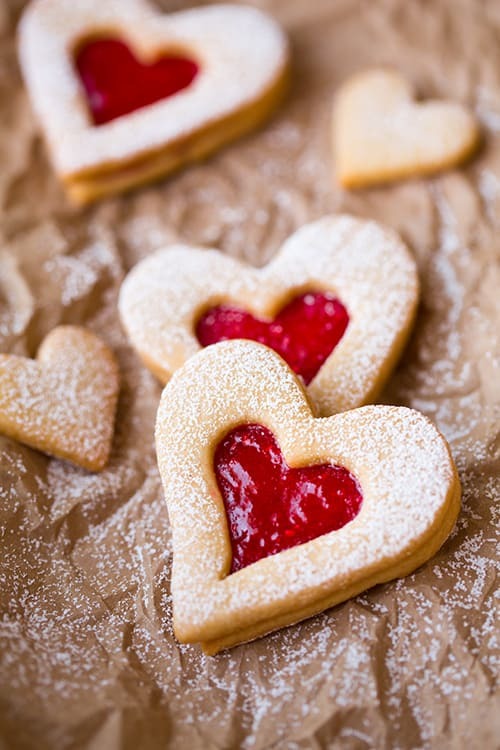 The greatest gifts come from the heart and are often homemade too. 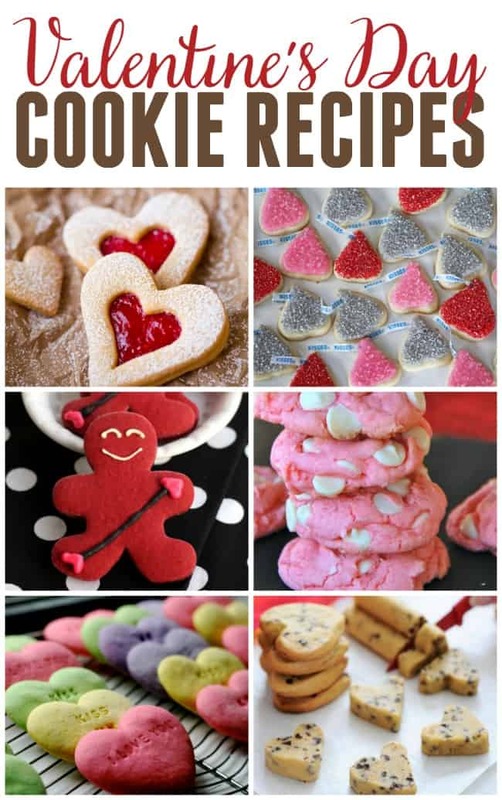 So it’s time to show your loved ones how much they mean to you with one of these Valentine’s Day cookie recipes. Even better, pair them with one of these gifts to make it the perfect Valentine’s Day to remember. 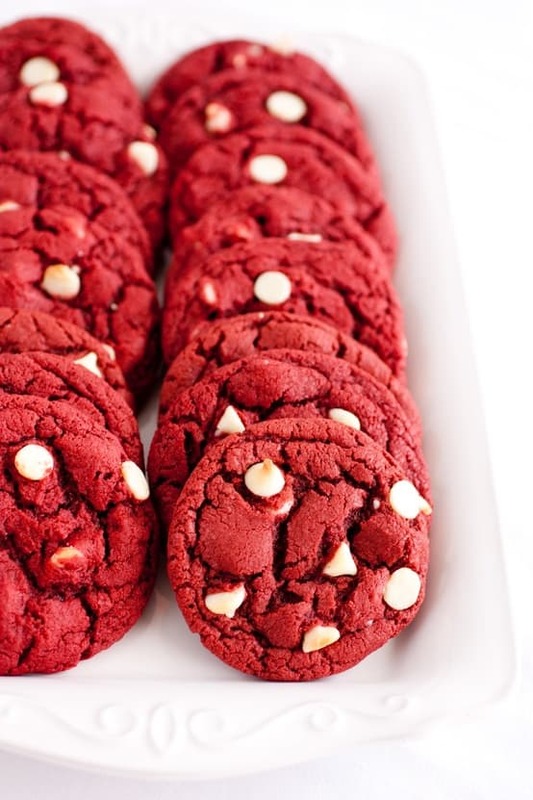 If your loved one is a fan of red velvet then these are the cookie option for them. So yum! 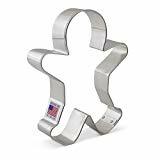 How fun is it to use a classic holiday cookie cutter and change him into a Valentine cupid. 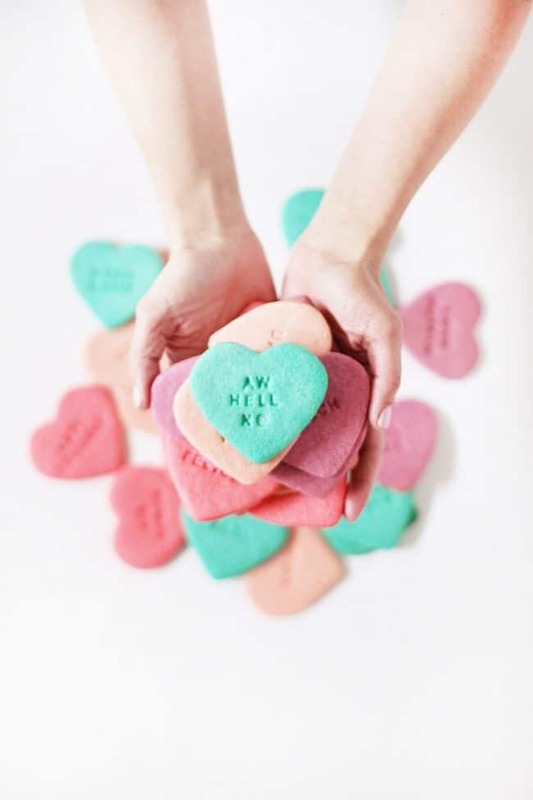 I love the idea of writing personalized messages on these heart cookies. So much fun! 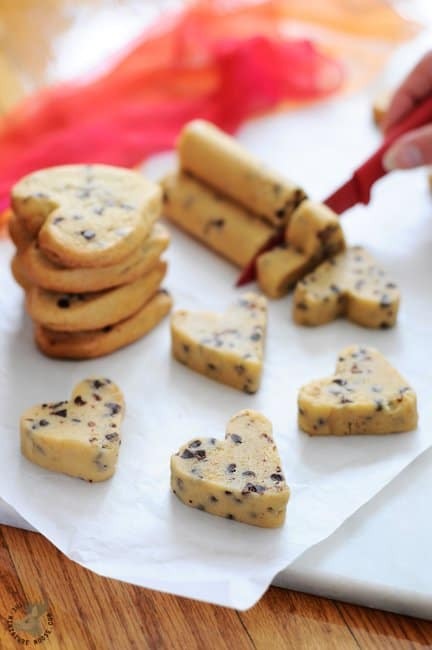 Heart Shaped Cookies - Made the Easy Way!! This super cool trick will save you from a flour-covered kitchen this Valentine’s Day. 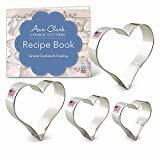 No rolling pins, no cookie cutters, just lovely little heart shaped cookies for your boo says the Miniature Moose. 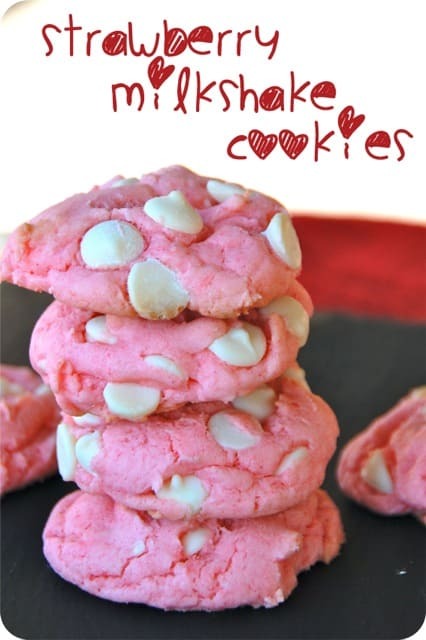 These Strawberry Milkshake Cookies are easy to make thanks to a secret shortcut– strawberry cake mix. 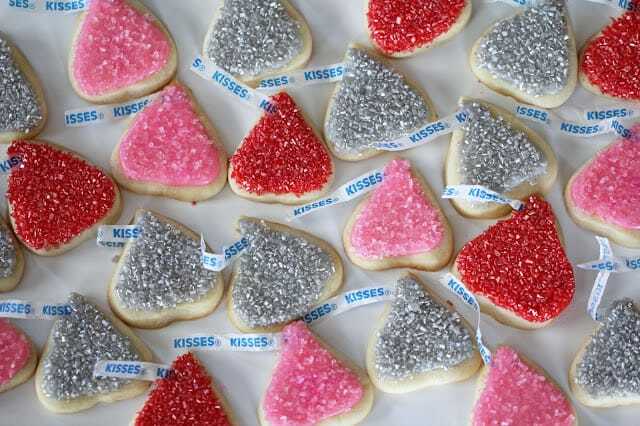 Plus they’re cute and festive for Valentine’s Day or any pink party says Jess Fuel. Who doesn't love a good sugar cookie? 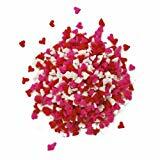 The red, pink, and white sprinkles just add that perfect Valentine's Day touch. I mean, really? Everyone is going to love these beauties from Debbie Sweets. I love all of these ideas. It’s making it so hard to decide which ones I want to make for my cookie monsters. 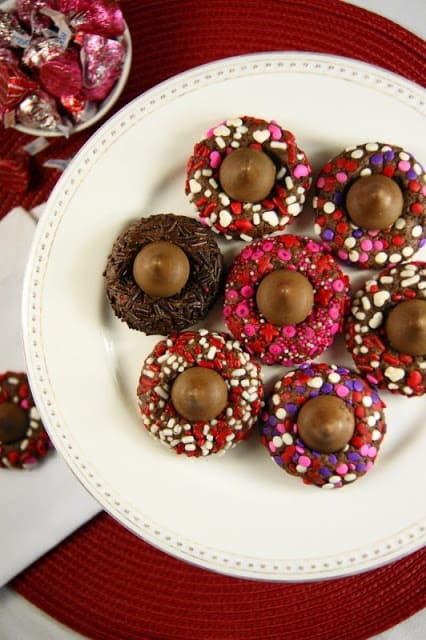 Needless to say, whether you’re spending Valentine’s Day with your significant other or your favorite pals you’re obviously going to want to bake up some of these sweet treats to celebrate.